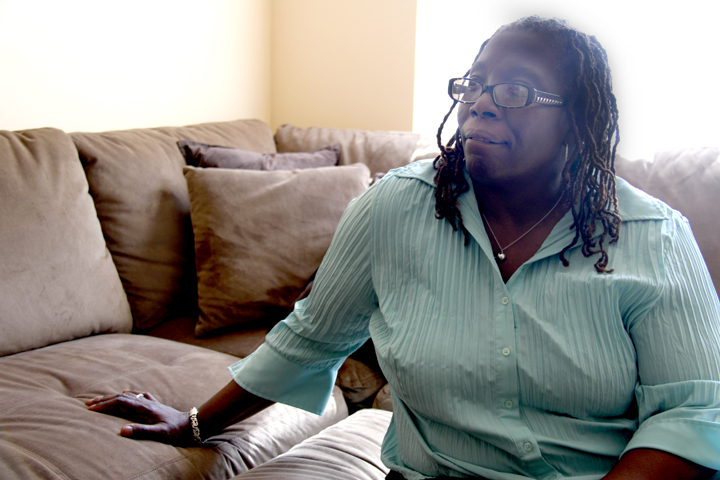 Crystal Palmer has lived in the Near West Side's Westhaven Annex since 1997. She says the CHA housing project is so safe that she has gone to bed many times leaving her front door unlocked. 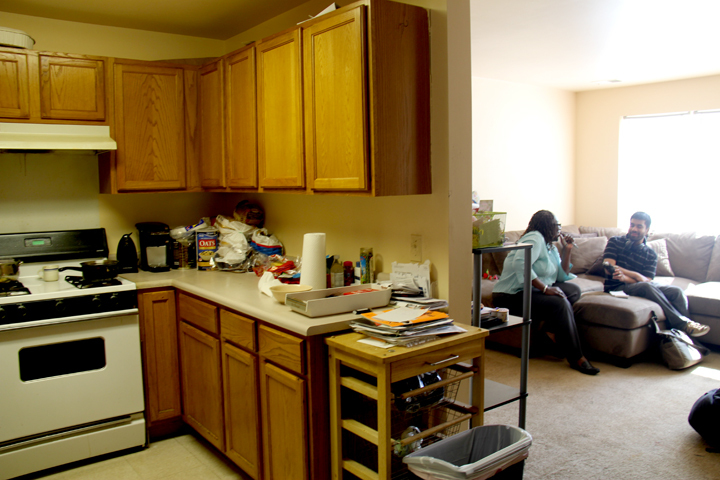 Crystal Palmer in her home, a $373-per-month, two-bedroom apartment in the Westhaven Annex. She says she wants the same thing in her life that anyone else wants. Crystal's apartment complex sits right in the backyard of the United Center. 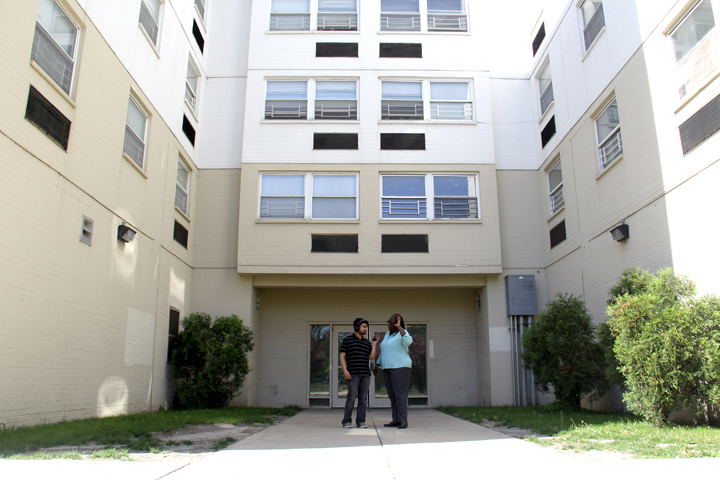 Tanveer Ali, left, and Crystal Palmer stand in her complex's courtyard. She says she could never live in the taller building, as she prefers her courtyard apartment. What&apos;s it like to live in public housing versus the fanciest apartment downtown? "The real impetus behind this question is actually about disparity — income disparity and housing disparity in the city," Heather said. “I was thinking about what sort of questions might bring out an answer that would reveal the real big differences between how poor folks live in the city and how many, many wealthy folks live in the city." But to hear more about what separates — and possibly connects — life on either side of Chicago’s social divide, we needed a game plan. We quickly settled on the first ground rule: The reporting needed to be specific. So, just as there’s no prototypical public housing experience, nor a prototypical “fancy housing” experience, we are profiling two Chicagoans who live on either side of the spectrum. We’ll look at not only about how and why they ended up living where they live, but also how their homes define their lives. I’ll also ask them everything from how they do laundry to what they eat for dinner. And I’ll bring in relevant demographic data about their neighborhoods and the people they encounter daily. And, most importantly, I’ll ask both people to comment on each other’s insights and perspectives. As we continue our search for someone interested in sharing their experience living in what would qualify as a “fancy apartment downtown” (see the editor’s note below), we bring you what we’ve learned from a woman who can tell the public housing side of our story. 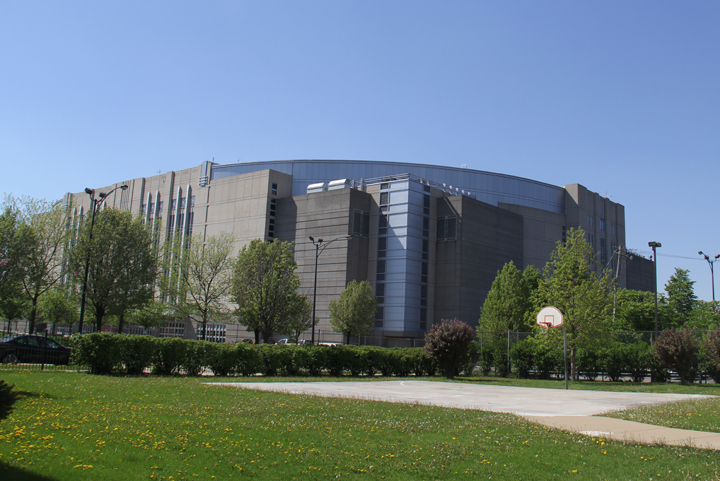 Crystal Palmer lived in the area where the United Center is now for much of her life. From 1968 to 1994, she lived in the Henry Horner Homes, a Chicago Housing Authority public housing project that was composed of high-rise buildings along with a sprinkling of low-rise buildings. She returned to public housing in the neighborhood a few years later, as the CHA redeveloped the old Henry Horner homes. Today, Palmer lives in a $373-per-month, two-bedroom apartment in the Westhaven Annex, which sits on a plot of land seemingly carved out of the main parking lot of the United Center. Listening to Palmer talk with her in-unit dryer spinning in the background, it became clear that she’s proud of the home she’s made for herself. Palmer knows there are differences between her living experience and others’, whether they live next door, in other CHA housing across the city or even in the Loop’s Trump Tower. But these differences are in the details — the view from the bedroom window, traffic during Blackhawks games or the distance she has to travel to the grocery store. On the whole, Palmer says, she wants the same thing in her life that anyone else wants. The location of her home is ideal for Palmer. But Palmer has a car just like many — but not most — of her neighbors. That makes it easier for her to go to the grocery store or get downtown for work as CHA’s liaison with the Central Advisory Council, the voice for public housing residents around the city. Palmer knows that’s not true of residents of the city’s other public housing developments, which can be isolated not only from downtown, but from fundamental services like grocery stores and public transportation. "We have a food desert here. We have grocery stores, but we need to catch a bus to get to them," Palmer said. For Palmer’s neighbors who don’t have easy access to cars, the location to the CTA’s #20 Madison and #50 Damen bus routes helps reach grocery stores like Jewel-Osco, Mariano’s or Dominick’s. A Pete’s Fresh Market being built on Madison Street and Western Avenue will be a 20-minute walk away. Women helm 85 percent of those households, in the Horner/Westhaven Park CHA site Palmer lives at, according to CHA data. CHA says slightly less than two-thirds of all adults less than 54 years old and non-disabled heads of household are employed. The median yearly income of households in the area hovers slightly over $12,100, which is on par with CHA housing as a whole. For comparison, the median household in the census tract that includes Trump Tower is about $89,350, according to the latest data from the U.S. Census Bureau. Palmer says figures about income disparities don’t tell the whole story about her, or her community of public housing residents. “A large percentage of us are employed and want something better and take care of our homes, take care of our units take care of our families and don&apos;t get into any trouble,” Palmer said. There is crime in the surrounding area, Palmer acknowledges, but outside of noticing a few drugs deals outside her bedroom window, it hasn’t affected her life much since she moved into her current place. But that stays outside of the apartment complex, a set of three-story rowhouses and a seven-story apartment building that surrounds a well-manicured courtyard. The only way in is by passing the security desk, helmed by guards handpicked and well-known to the residents. “I’ve left my doors open many, many times. It’s just safe,” Palmer added. That move, she said, will hopefully come at the end of the month. “For you to go from subsidies to your own, it’s a big thing. It’s a real big thing,” Palmer said. Tanveer Ali is a freelance producer who has worked for organizations that include WBEZ, the Chicago News Cooperative and DNAinfo.com. Follow him @tanveerali. To best answer Heather Radke’s question about life on either side of Chicago’s social divide, we need to hear from people of means who live in downtown Chicago. If you would like to know more or have leads for us to consider, please contact Shawn Allee, Curious City’s editor, at 312-948-4723 or write him at sallee@wbez.org.